“This bill this is voter suppression. I’ve never seen a bill like this on the floor in Tennessee,” said Tequila Johnson, Co-Founder of the Equity Alliance and leader of the Tennessee Black Voter Project that registered 86,000 black and brown voters in the 2018 election. NASHVILLE, TN – Two bills that would fine civil rights and church members if they turned in more than 100 deficient voter registration forms are being debated in both chambers of the state legislature this week. “This bill is a blatant attempt to further suppress the vote in Tennessee. In a state that has one of the lowest voter turnouts in the country we shouldn’t be making voter registration more complicated,” said Charlane Oliver, a community liaison with Congressman Jim Cooper’s office. The legislation is being pushed by Secretary of State Tre Hargett who says last minute “dumping” of 10,000 registration forms in Shelby County cost the state $200,000 and $35,000 in Davidson County during the 2018 election season. Many were deficient says Hargett. Tequila Johnson, Co-founder of the Equity Alliance, led a statewide coalition of some 2,000 organizations that registered 86,000 black and brown people to vote in the 2018 election. She said their success is the real reason Hargett is pushing what amounts to a voter suppression bill. “In a state that’s built on volunteerism you mean to tell me we’re going to penalize people for volunteering? We’re going to assess civil penalties and fines on people for doing what our secretary of state is appointed to do?” she asked. “Every nonprofit organization, every business, every church that does any level of voter registration should be up in arms about this bill,” she said. Senator Brenda Gilmore (District 19), Representative John Ray Clemmons (District 55), Representative Gloria Johnson (District 13), Representative Vincent Dixie (District 54), and Representative Bob Freeman (District 56) all spoke against the bill at a press conference Tuesday. “I’m already hearing from groups like The University of Tennessee and the University of the South that have student groups, the Howard Baker Center, all these groups registered voters and they’re going to be terrified to do that. This is not what we need to be doing,” said Johnson. Johnson has a same-day registration bill that was up in the House Elections and Campaign Finance Subcommittee Wednesday. She says the technology exists and it would be a great way to boost voter participation in elections. It would also avoid a lot of the problems with incomplete paper voter registration forms. Also in the House Finance Subcommittee on Wednesday, Representative G.A. Hardaway (District 93) presented his bill that permits the use of a photo identification card issued by this state, the United States, or an accredited postsecondary institution of education in this state for purposes of verifying the identity of an eligible voter. Gilmore and Dixie have sponsored a bill to permit voters to provide just the last four digits of their social security number on registration forms. 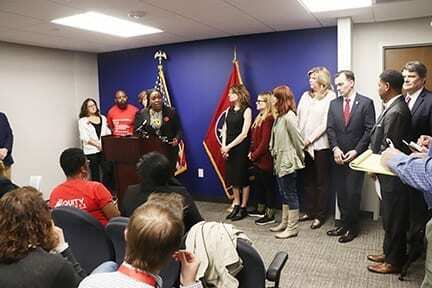 Despite these democrat-led efforts to improve and protect voting rights, several speakers said if HB 1079 and SB 971 are passed, it will move Tennessee in the opposite direction. “We should be doing everything we can as a legislative body and as a government to further the principles of our democracy. That is not happening. They are standing in the path of our progress. They are doing everything they can to keep their foot on the throat of a large part of the population in this state that has a fundamental right to vote and elect their leader,” said Clemmons. “It’s a horrible bill. 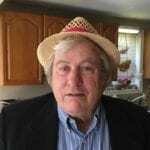 We need to push back against it, sends emails, letters, make phone calls to the Secretary of State Jay Hargett and to the members of the committee in the house and senate to say this is not a good bill,” said Gilmore.